Happy New Year! I want to thank you for your loving support throughout this year. I always end the year with a reflection of the previous year. I personally know how difficult it is to change, adapt and to create a balanced life. 2015 proved to be one of the most difficult, transformative and exciting years of my life. I experienced death, betrayal, health challenges, and other significant losses. I also experienced big wins. 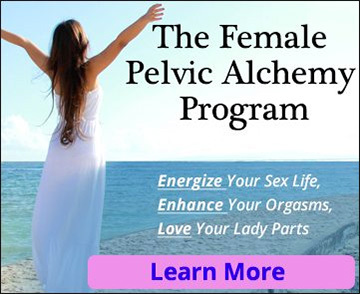 I finally made one of my dreams come true, which was to create an educational portal Pelvic Pain Relief Online Course that will help even more men and women. You might have experienced a similar year. I learned a lot and I told myself I want something different for 2016. I want a better and more balanced life. Do you want a better life in 2016? The question I posed to myself was “how could I have a better 2016?” So I took all my learnings from 2015 and made my top 20 resolutions for 2016. I want to share my resolutions with you because once I integrated these experiences into the latter part of 2015 I felt the high of hopefulness and things started to get better. I got out of my own way. Our experiences are our most profound teachers. We need to shed light on them and then figure out the teachings. Once we figure it out, we must make the appropriate changes so history doesn’t repeat itself.